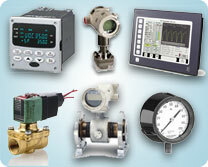 Our engineers have learned just which valve technology will work for you. They can help specify a ball valve, gate valve, globe valve, knife valve, gate valve, globe valve or check valve and all of the accessories you need to make them work. 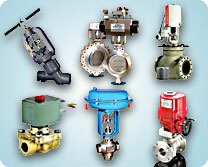 And we also know where to go to get you a valve in a hurry through our US valve source. We’ve been selling industrial valves into the harshest applications in refineries, power generation plants and paper mills for over 30 years. Contact us at 877-650-6059 and put that expertise to work for you. Through our years of experience we have accumulated the top lines you need to measure and control temperature, pressure, flow, level, humidity, pH, CO2 and more. We know measurement, analysis and control from the transmitter, wired or wireless, to the data acquisition and recording instruments, passing data to your business operating network and right back down to the valves on the plant floor. Do it yourself or have our team of engineers help you configure the solution that meets your needs best. 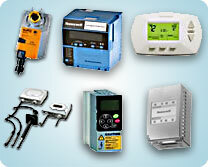 No one handles more of the major manufacturer’s HVAC controls then Industrial Controls. We are among the top distributors in the country for Belimo, Honeywell, Johnson Controls, Invensys/TAC/Barber Colman and Siemens. Whether electric, electronic, pneumatic or DDC we have the controls and the expertise to be your source for HVAC controls. And we have a wide variety of the flame safety controls, pumps, level controls and accessories to keep your boiler room operating at peak efficiency 24/7.